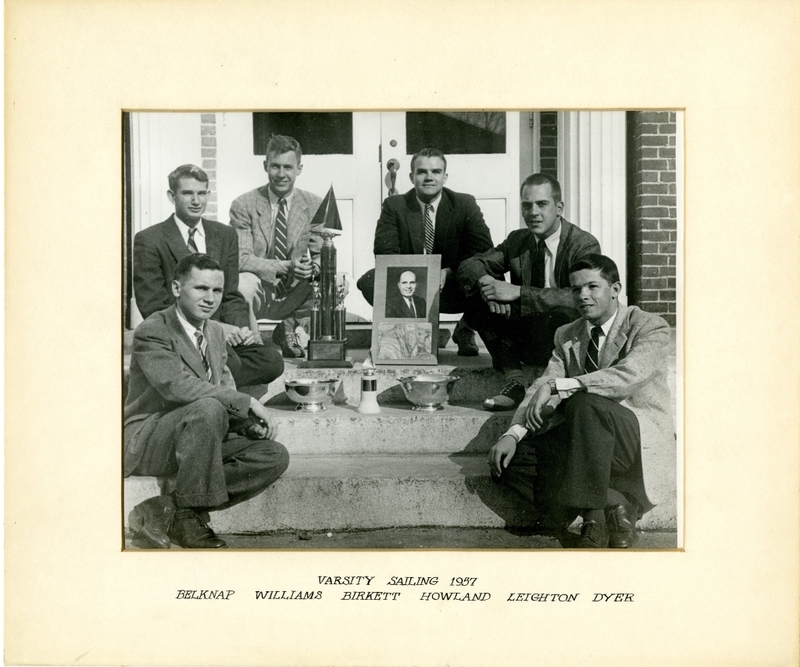 The 1957 varsity sailing team. Left to right: David J. Belknap '58, John S. Williams, Jr. '59, James D. Birkett '58, George F. Howland '57, Charles M. Leighton '57, Ronald H. Dyer '59. Team members, wearing suits and ties, are seated outdoors on steps, around their trophies.